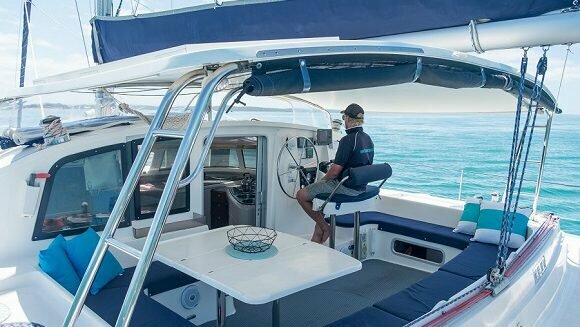 Built by world renounded French boat builders Fountaine Pajot, this 42′ luxury sailing catamaran is one of the finest rent a yachts available in Queensland, and is perfect for catamaran charter holidays in our Fraser Coast waters. 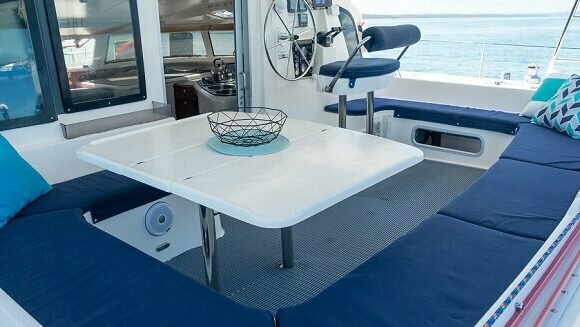 She boasts some of the finest fittings available on charter yachts around the world and is perfectly suited for extended luxury cruising along the Queensland coast. 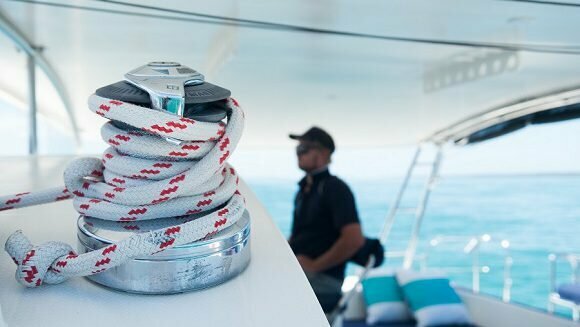 Cattitude is a pleasure to sail but with performance you would expect from one of the worlds finest yachts. 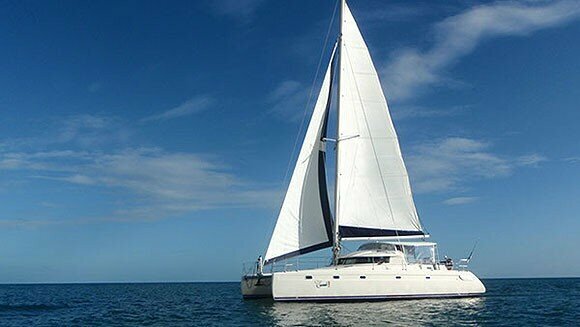 The perfect vessel for your sailing holiday when you rent a yacht on the Fraser Coast. 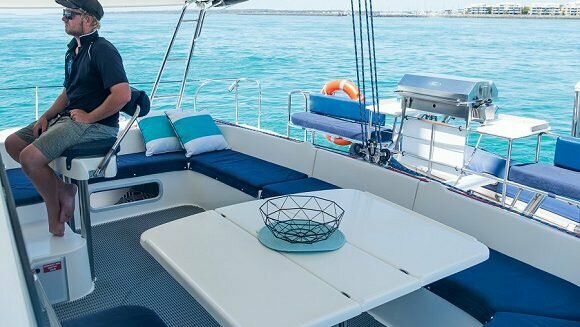 Featuring 4 generous cabins and a luxurious stateroom-like saloon, she is ideal for exploring the magnificent Queensland coast. 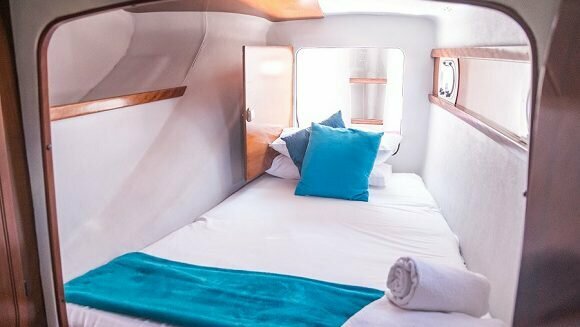 Mudcrab and champagne in the cockpit, breakfast on the foredeck or gourmet dinner in the opulent saloon…Cattitude is designed to impress. The opulent main cabin is unique in housing both the dining saloon and the kitchen. 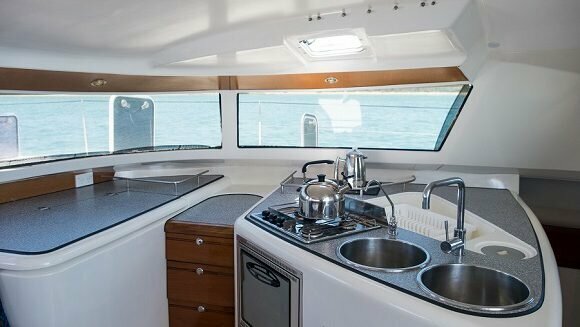 This configeration frees up the extra large hulls for the 4 spacious cabins The kitchen is fully equipped for the best of dining with the easiest of layouts….just what you need for relaxed holiday dining. 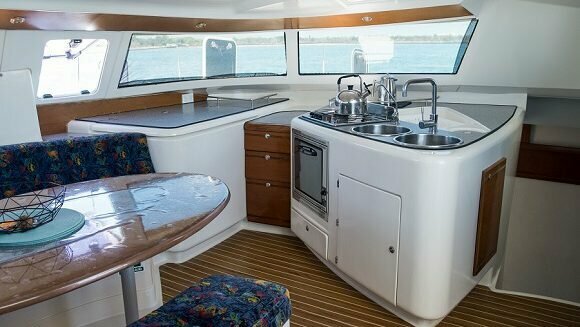 The 4 cabins offer plenty of space for large families and group charters. 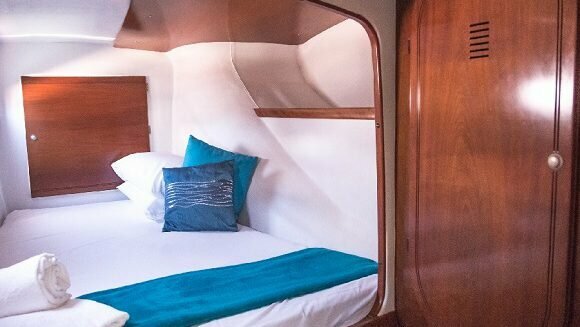 Each cabin is completely private with the polished lockable doors and ample storage with hanging spaces. 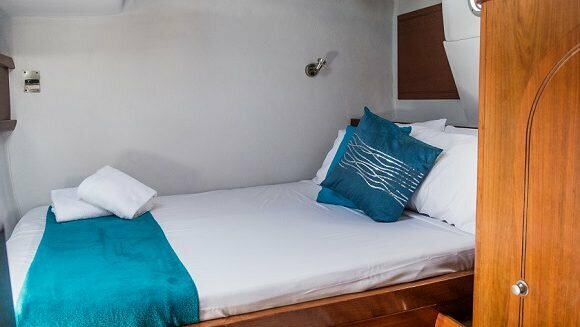 The beds are all queen size – truly cruising at its comfortable best! 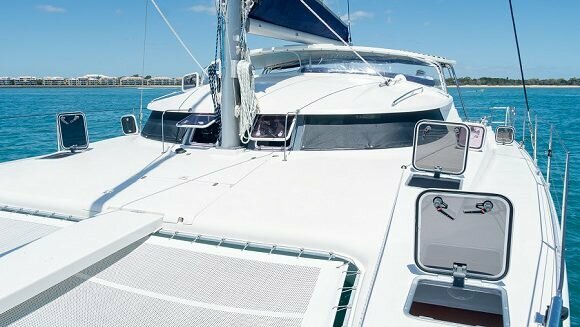 Wherever you want to go in the Fraser charter area, Cattitude is perfect for rent a yacht cruising in Hervey Bay. 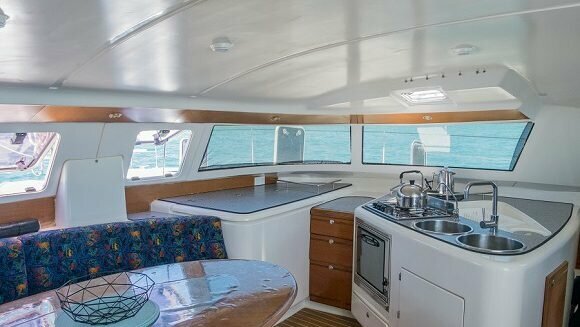 Full galley facilities including gas oven, grill and 3 burner cooktop. Large solid front sunbaking and whale watching deck. Peak Rate: Mid December to Mid January & Easter week. 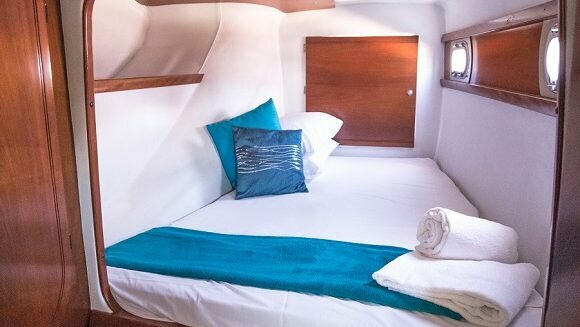 Short Break: 3-4 night charter (limited availability). NOT available in peak or mid season. 2 bathrooms. Showers with vanity. Marine toilet.